This book from Callwey Verlag is stylistics, inspiration and guidebook in one. In search of the latest and most important trends on the interior scene, you will find all the answers in this home book. Best of Interior is very close to tomorrow's trends, has all design classics in mind and combines individuality with creative ideas. The best furnishing concepts from home bloggers, interior designers and interior experts are presented in detail by the author Tina Schneider-Rading on 208 pages in beautiful picture series and informative texts. For the first time, all important projects of the current interior scene will be presented in a single book. The highlight is the Best of Interior Award event, at which the best submissions selected by a top-class jury are honoured. Callwey Verlag - Best of Interior - Die Wohntrends 201 8. The author Tina Schneider-Rading presents the most important projects of the interior scene on 208 pages. 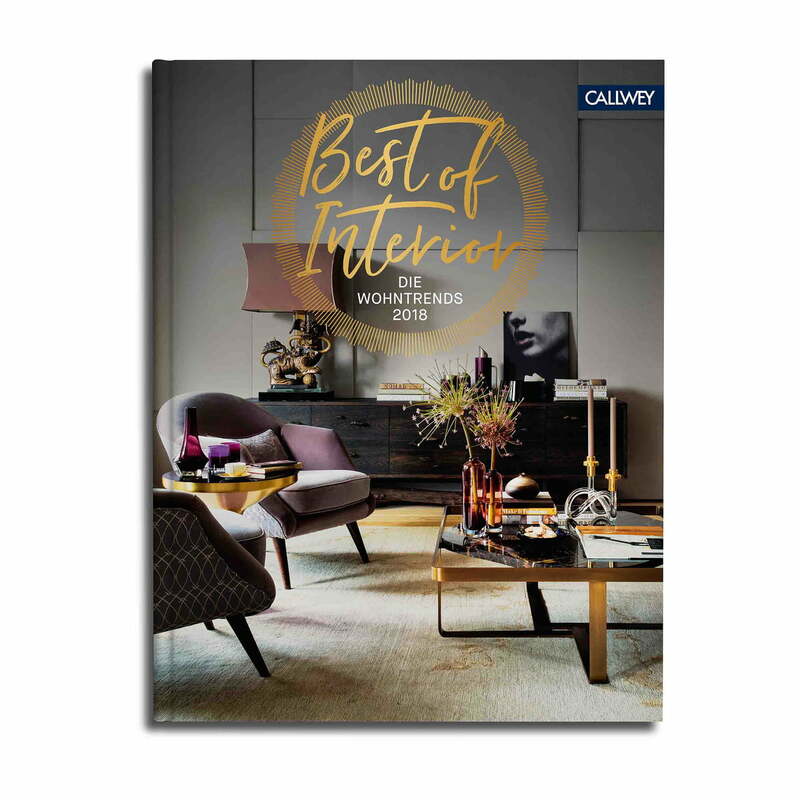 Best of Interior - Callwey Verlag's Wohtrends 2018 is very close to tomorrow's trends, has all the design classics in mind and combines individuality with creative ideas. The best furnishing concepts from home bloggers, interior designers and interior experts are presented in detail by the author Tina Schneider-Rading on 208 pages in beautiful picture series and informative texts. View into the book: Best of Interior - Die Wohntrends 2018 aus dem Callwey Verlag- Carolin and Robert Stephan are among the designers presented in the book.